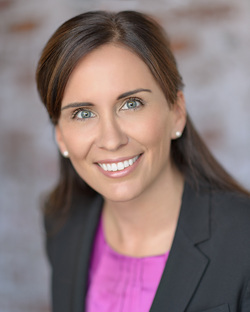 ​​​Shannon Fitzgerald has approximately 15 years of experience in the securities industry, working with alternative trading systems, banks, broker-dealers, commodity pool operators, funding portals, futures commission merchants, investment advisors, money services businesses, municipal advisors, and self-regulatory organizations. As the Founder and Managing Director of Regulatory Ridge, LLC, Shannon assists clients with a wide variety of matters, including annual compliance and supervision reviews, anti-money laundering independent tests, branch audits, contract preparation and review, corporate governance, membership registrations, policies and procedures, regulatory examinations, regulatory filings, risk management, and rule interpretation. ​Prior to founding Regulatory Ridge, LLC, Shannon was the Assistant General Counsel at Chicago Board Options Exchange, Inc. ("CBOE") (previously Direct Edge, owned by a consortium comprised of Goldman Sachs, Morgan Stanley, Credit Suisse, and Citigroup). Before CBOE, Shannon worked at RBC Capital Markets, LLC in legal, compliance, and risk management roles. Shannon previously worked at the Financial Industry Regulatory Authority, Inc. (FINRA), in the Enforcement and Member Regulation Departments. Shannon has been approved by both the SEC and FINRA as an Independent Consultant ("IC"), for purposes of auditing member firms pursuant to FINRA settlement agreements. She is a member of the National Society of Compliance Professionals’ (NSCP) Board of Directors, and serves on its Nomination Committee and Comment Letter Ad Hoc Committee. Shannon is also a member of the Securities Industry and Financial Markets Association’s ("SIFMA") Compliance and Legal Society. Shannon was formerly a regular contributor to Cadwalader, Wikersham & Taft LLP’s Cadwalader Cabinet. She has also volunteered as a judge for SIFMA’s InvestWrite competition, and as a guest lecturer for the Federal Reserve System’s Community Classroom Connection Program. Additionally, Shannon has been registered with IMS Expert Services and Securities Experts Roundtable as an expert witness. Shannon earned a Juris Doctor from Seton Hall University School of Law, and a Bachelor of Arts in Psychology from Rutgers College. She is a member of the New Jersey State Bar Association, and a Certified Anti-Money Laundering Specialist (CAMS). Shannon previously held the Series 7, 24, and 55 licenses.